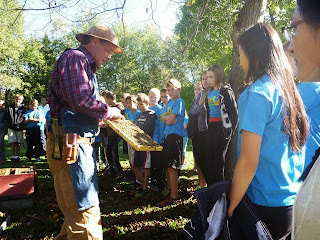 Garden2Table: St. Ignatius Grade 7's visit to the Honey Bee Research Centre on Campus! 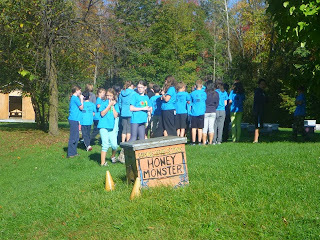 St. Ignatius Grade 7's visit to the Honey Bee Research Centre on Campus! On October 10th we brought 33 Grade 7's to the Bee Farm where we were lead in an engaging bee tour by Apiary Manager, Paul Kelly. Paul began with teaching us all about the anatomy, types, and behaviour of bees. We then followed him out to the hives where the brave kids were able to sample fresh honey right from the honeycomb! 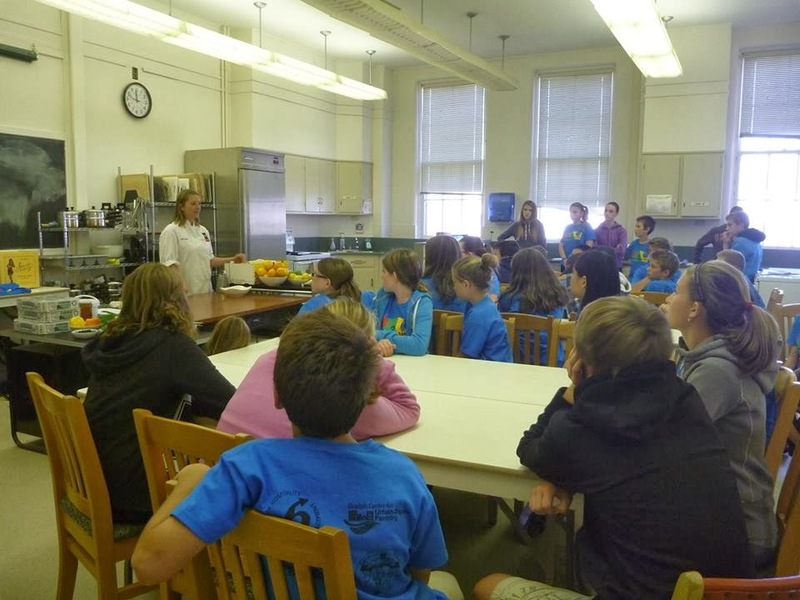 After purchasing some delicious raw honey from Paul we headed back to the MINS Food Lab where we were joined by Chef Jennifer Rekunyk who led the kids in some fantastic culinary activities. 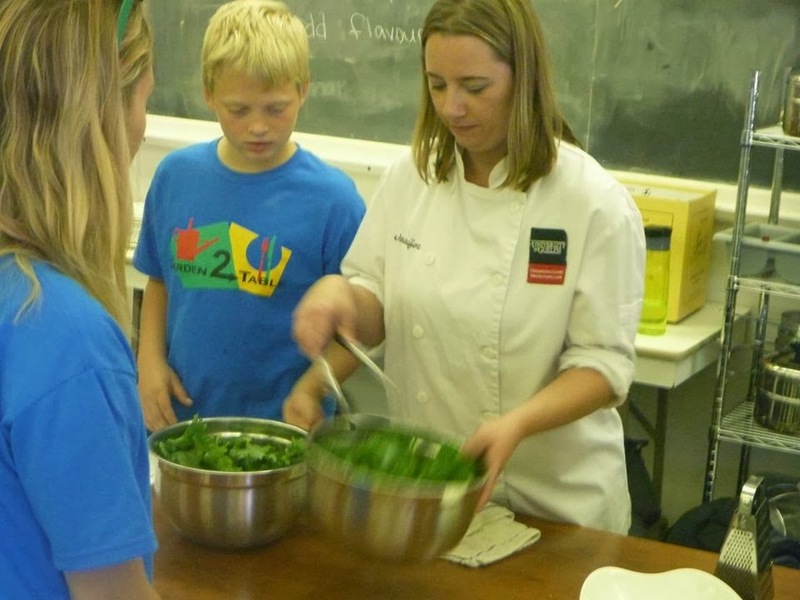 Using some vegetables from the organic garden that the school had harvested the day before, we showed the kids how to incorporate honey into some healthy and easy recipes which included, butternut squash fries, kale chips, garlic aoli, and yummy kale salad. Our second day at the bee farm was October 17th, with another amazing group of Grade 7 students from St. Ignatius. 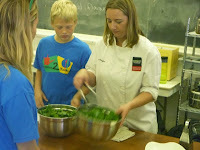 This time we were joined by Chef Shea Robinson again to help with our honey recipes. 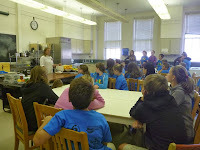 We helped the students make granola, banana pops, and honey roasted root vegetables. A huge thank you to both Chef Rekunyk and Chef Robinson for making both days fantastic for the students. We are sad that this concludes our fall programming this year as the fall harvest is coming to a close. But we are excited about the up and coming G2T programs in the winter semester. Stay Tuned! !